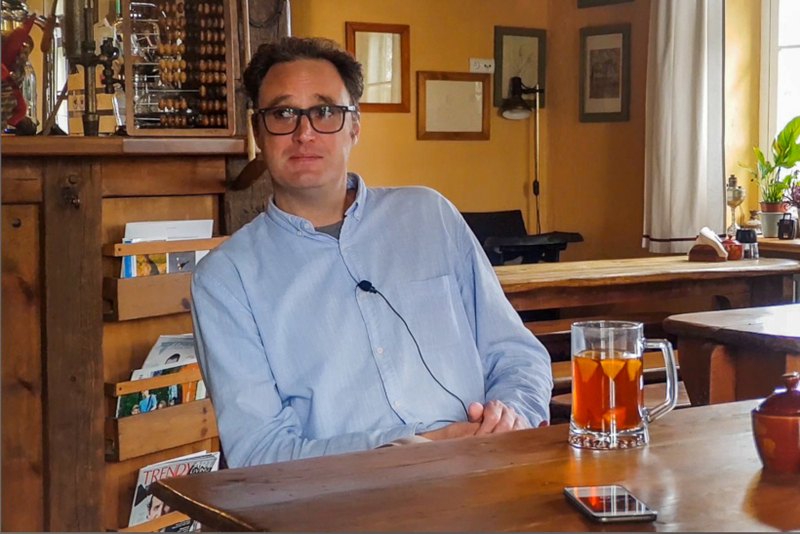 It was a wet and windy morning when Alexander Potocki and his fiancé arrived in the little village of Sztynort, northeast Poland. They were there to see a palace. Set deep in the heart of the Polish lake district of Mazury and originally called Steinort, for 300 years the palace had been a seat of splendour for an aristocratic East Prussian family called von Lehndorff-Steinort. 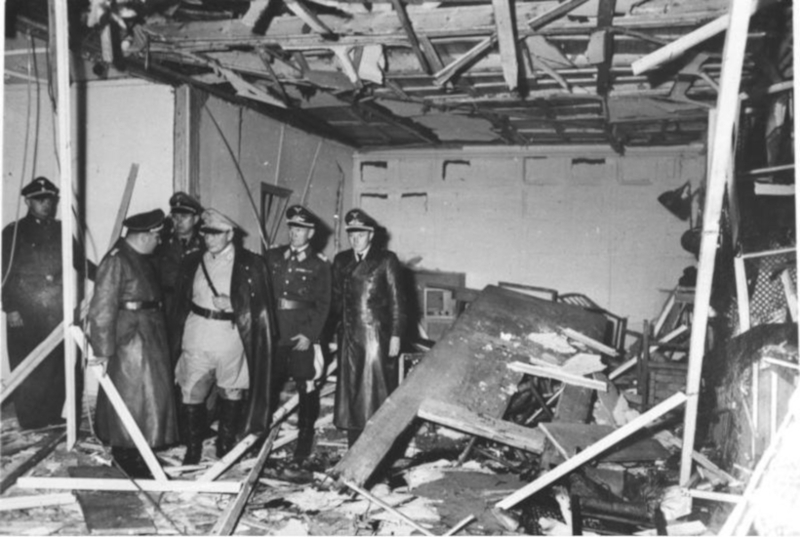 That had ended when a failed assassination attempt on Hitler doomed the family and left the historic landmark with a bleak future of looting, exploitation and neglect. For the last 74 years Sztynort has lain dormant, a silent witness, quietly mourning its own past. Having read a book about the place, Potocki’s interest was piqued enough to make the 1.5-hour-long journey from his home in Gałkowo. And it was whilst wandering around the sprawling 52-hectares of land that he came across the crumbling remains of a building called the Huntsman Mansion, one of a number making up the Palace estate. He told TFN: “It was the beginning of spring, the weather was terrible, and I had no money. I took my fiancé and we went there. It all looked sad and gloomy. 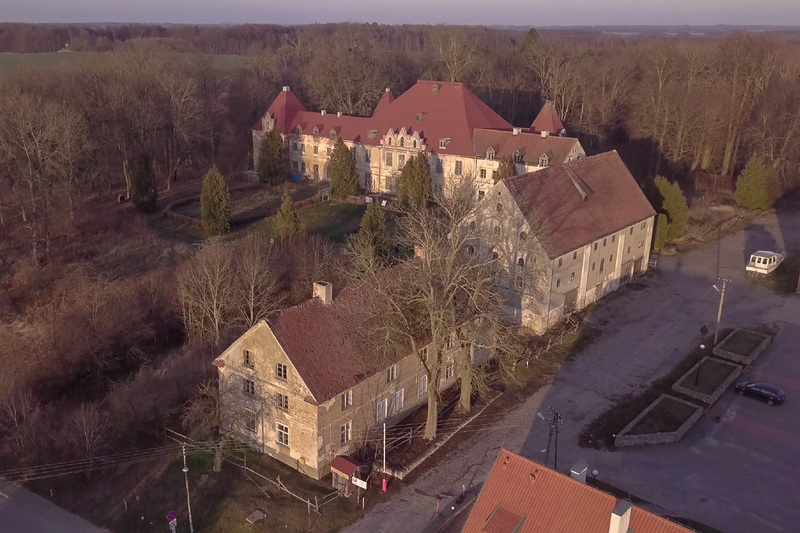 “Sztynort,…was already a total ruin. We looked around at this building and I had a strange feeling that it looked at me. “You see, the building has round ventilation windows on the top. When I looked at it, the wind opened one of those windows. In my head, I heard it say ‘Oh... another person has come to see me dying’. That rescue meant chartering a private helicopter to airlift the entire building and fly it back to Potocki’s home village, 79km away. The reasons weren’t purely connected to saving an old building, however. Lying just 20km from where Hitler had based his eastern ‘Wolf’s Lair’ HQ, during WWII the palace had become a hotbed of German military resistance to Hitler and his German Nazi party. One of those resistance figures, Countess Marion von Donhoff, had been a friend of Potocki’s mother. And one of the key plotters was the man who owned the palace, Count Heinrich Graf von Lehndorff-Steinort. Enlisted as a first lieutenant reserve officer during WWII, Heinrich, his wife, Countess Gottliebe Lehndorff, and their three young daughters, Marie Eleanore, Vera, and Gabriele lived a life of privilege. With a grand hallway, ornate staircase, walls shimmering as if made of gold, ancestral portraits lining the walls and swans floating through the waterlilies scattered across their private lake, Sztynort Palace was the eptiome of aristocratic grandeur. But then the 32-year-old officer was sent to the Eastern Front following Hitler’s declaration of War on the Soviet Union where he became witness to atrocities which would change his life and his family’s life forever. First he witnessed the massacre of 7,000 Jews in Borissow, Belarus in October 1941. But it seems the killing of an innocent child affected him most. As his wife was to later recall in the book ‘A Double Life. Heinrich and Gottliebe von Lehndorff and Their Resistance against Hitler and von Ribbentrop’ by Antje Vollmer: “One day, when Heini had come home for a few days from the Eastern Front, I sensed that something extraordinary must have happened. “Since we couldn’t talk at home, we rode into the forest. ‘Listen, I desperately need to tell you something,’ Heini said to me. ‘I had a horrific experience. An SS man grabbed a child and beat it against a tree until it was dead. So I've decided to join the resistance now, once and for all. There's a whole group of us gathered around Bock. We've got Tresckow, Schlabrendorff, and Hardenberg. All of them want to see Hitler eliminated.’ And with that, the die was cast." Now known as the 20th July plot, it was planned that the assassination would be carried out by suicide bombing. However, the devices were unable to detonate properly and those involved were found and arrested by Hitler’s dreaded Gestapo. 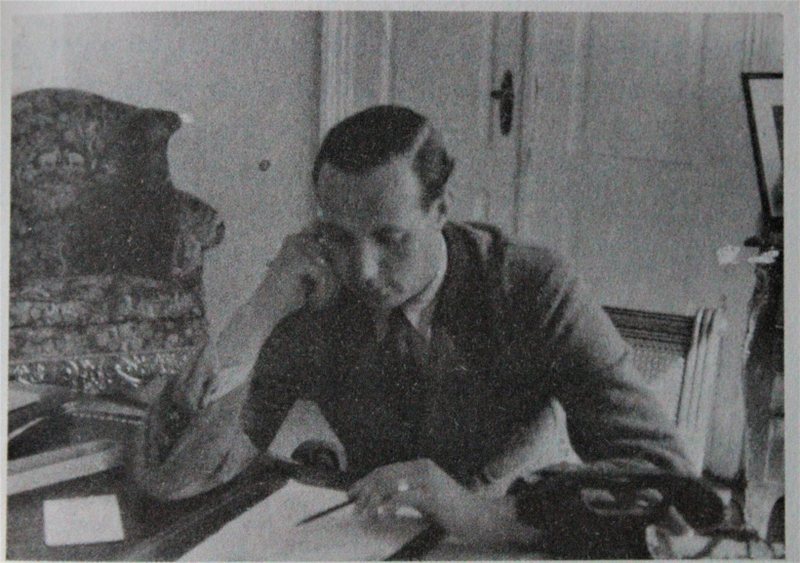 Initially, von Lehndorff managed to evade capture. When SS troops turned up at the palace in the early hours of the morning he was able to escape into the palace park through a window. However, realising his family was in mortal danger, he surrendered shortly after to spare them a ‘kin liability’ execution. 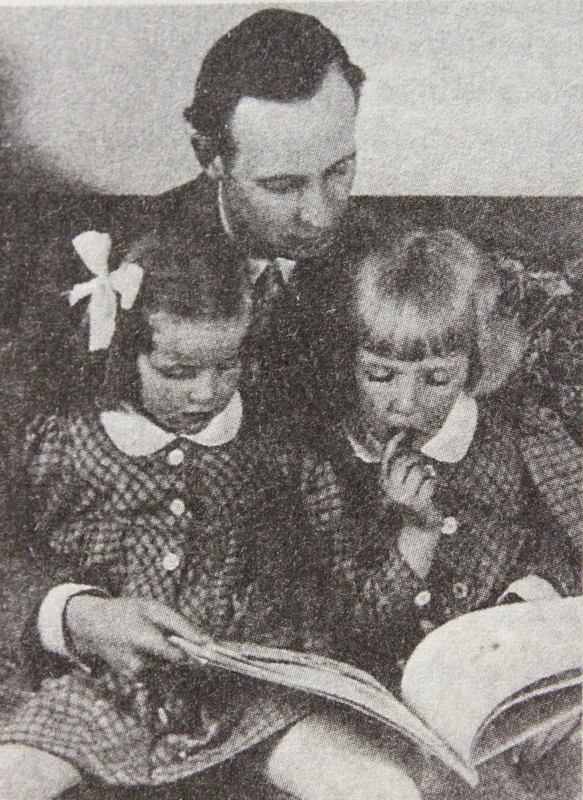 Heinrich was hung on the 3rd September 1944, and his heavily pregnant wife, Gottliebe, and their three girls Marie Eleanore (then aged 7), Vera (aged 5) and Gabriele (aged 2) were stripped of their assets and sent to a concentration camp where they stayed until they were liberated at the end of the war in 1945. 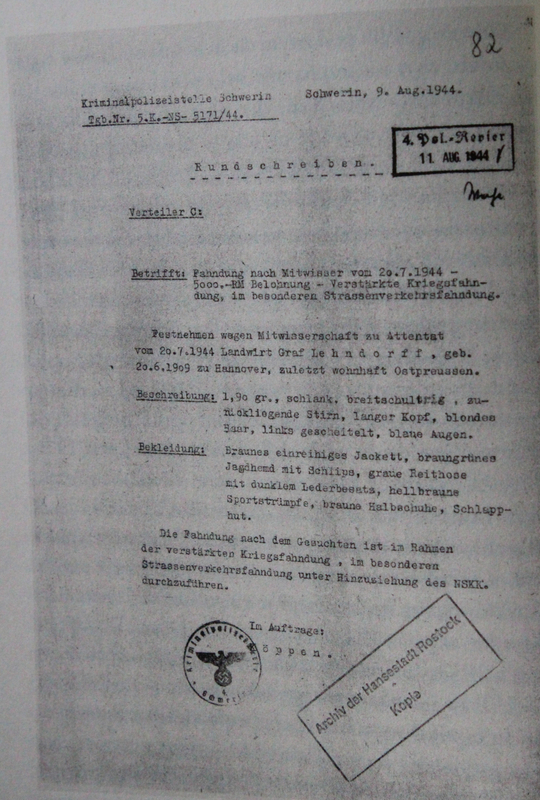 Following the executions, the Nazi government immediately took over the Sztynort estate and kept it until the end of the war, after which it was nationalised and annexed by the State Agricultural Farm (PGR) until the early 1980’s. After the collapse of communism in Poland in 1989, the estate was passed around to different authorities and organisations, all of which promised to restore the place, but ultimately none did and the place was left to fall into further disrepair. And then von Lehndorff’s daughter, Vera, reappeared. 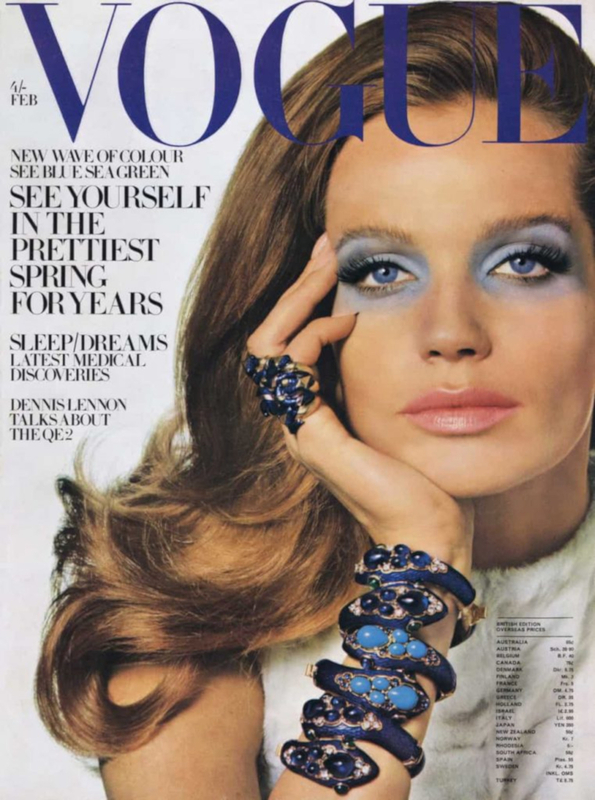 Following the horrors of her wartime experience, ‘Verushka’ as she became known, had gone on to become one of the top supermodels of the 1960s and at her peak was reported to be earning 10,000 USD a day. In 2007, she returned to Sztynort for the first time since her father had been murdered. In her 2012 biography, ‘Verushka: From Vera to Verushka’ she said: "I am convinced that a place shapes a person. If one is torn out of an environment in which one is supposed to grow up and thrown into another, it borders on a miracle, if one grows again at all. "Germany after the war was an emotional desert. Everyone was busy. There was no time for mourning. "All this is past, and yet it is still present and occupies me very much. 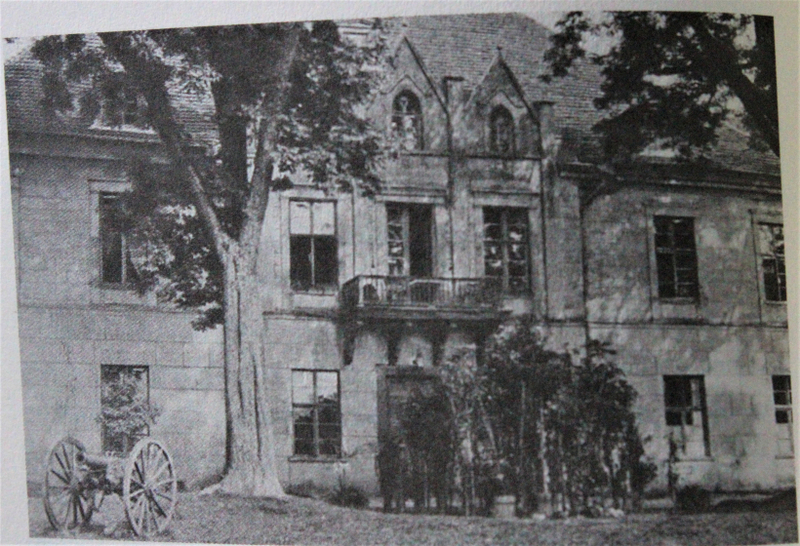 However, my ideas now focus on the future, on what can arise in Steinort." 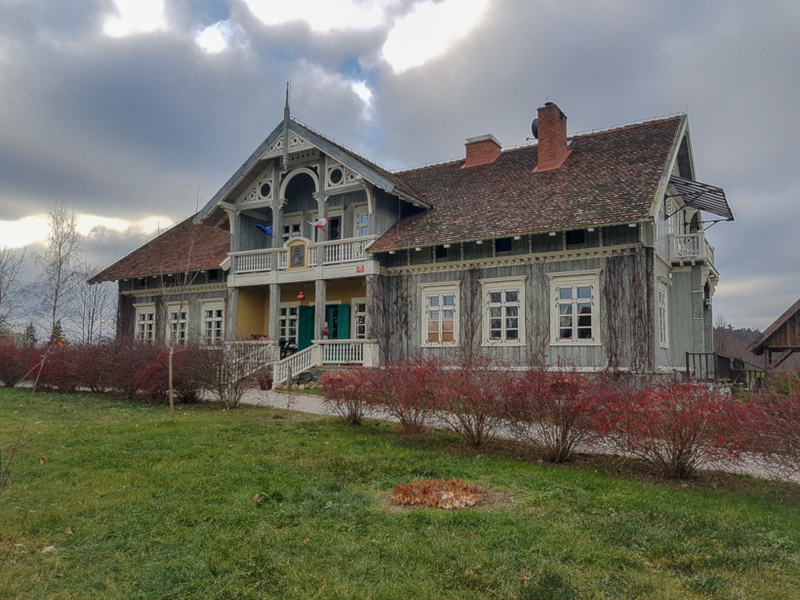 Moved to see her family home in such a state of disrepair, Vera set up the Lehndorff Society of Steinort and in 2009 bought it for the symbolic sum of 1 złoty. Since then, the society has been supporting the work of Polish and German foundations interested in restoring the palace to its former glory, and work is now well underway. Last year, the German Bundestag announced it would be investing EUR 500,000, and EURO 466,000 raised by the Polish-German Foundation for Monuments Protection has seen essential works take place including much-needed roof repairs on the main palace and reinforcement of the inner structure. The Head of Polish-German Foundation for Monuments Protection, Wojciech Wrzecionkowski told TFN: “Now the palace is safe but many millions need to be poured in to bring back its former glory. “When you’re here, in the palace, wherever you turn, you see a piece of great history. Such a place cannot be forgotten. The process of restoration is slow, the scale of the works needed is huge and the trickle of funds has created a bottleneck in the rebuilding of the site. However, for now, every small improvement is a win for those involved in bringing Sztynort to life. Chairwoman of the Lehndorff Society of Steinort, historian, and close friend of ‘Verushka’, Dr Bettina Bouresh told TFN, that in the future, the plan to save Sztynort is not only to restore it to its former glory but to also turn it into a self-sustaining hotel, cultural site, and museum for generations to learn from. She explained: “It seems important to me to have the courage to stand up for one’s beliefs. 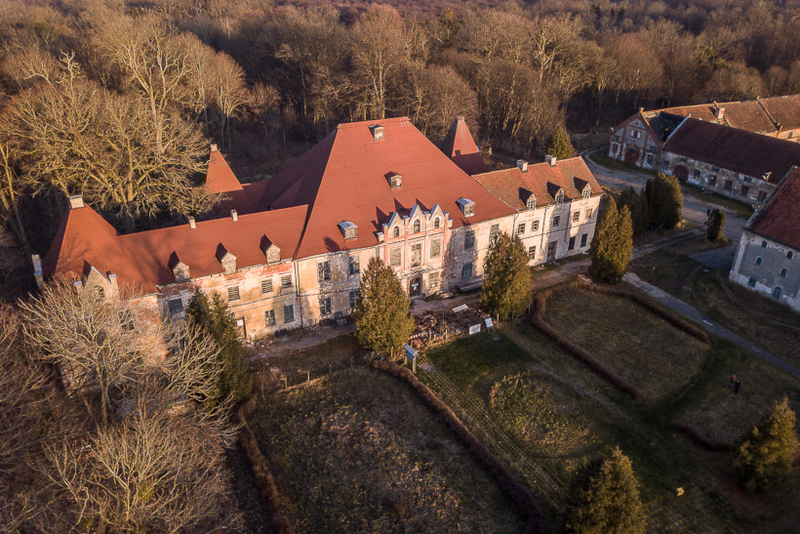 Alexander Potocki, the man who ‘rescued’ Sztynort’s Hunting Mansion by airlifting it to his home, has now brought life back to the former building. Downstairs has been transformed into a successful restaurant while the upstairs saloon houses a room dedicated to the life of Countess Marion von Donhoff, the Prussian noble who also attempted to assassinate Hitler. 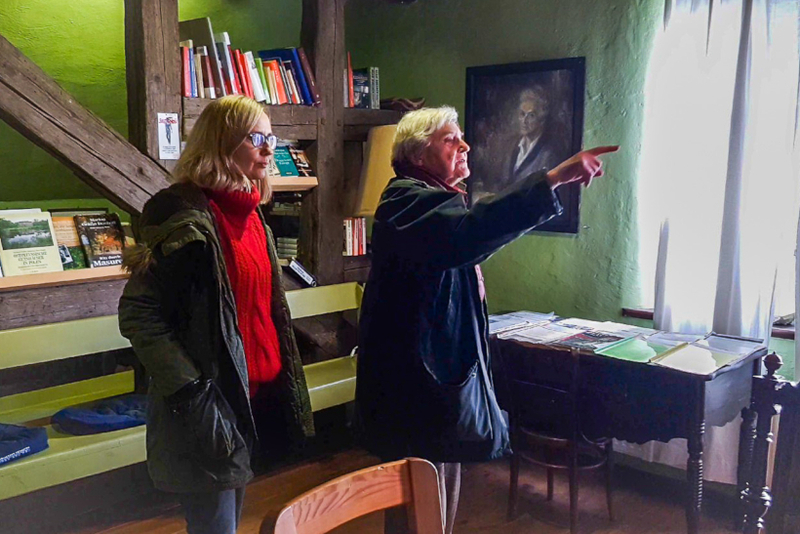 Potocki’s mother, Renate Marsch-Potocka, a former journalist and friend of von Donhoff who now runs the Marion Dornhoff remembrance salon in Gałkowo, told TFN: “Over the decades, no one really took care of the palace and now millions are needed to restore the place. But it should be rebuilt – the place saw so many things.